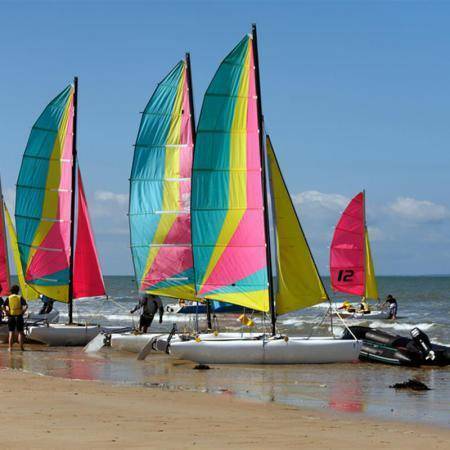 In Saint-Jean-de-Monts, everyone finds their nautical happiness, big and small and whatever your age and your level. Omnipresent in Saint Jean de Monts the ocean is an obvious playground. Water sports enthusiasts will love the releases in Optimist, Hobies (catsy, teddy and max versions), SL 15.5, schooner or trimaran. 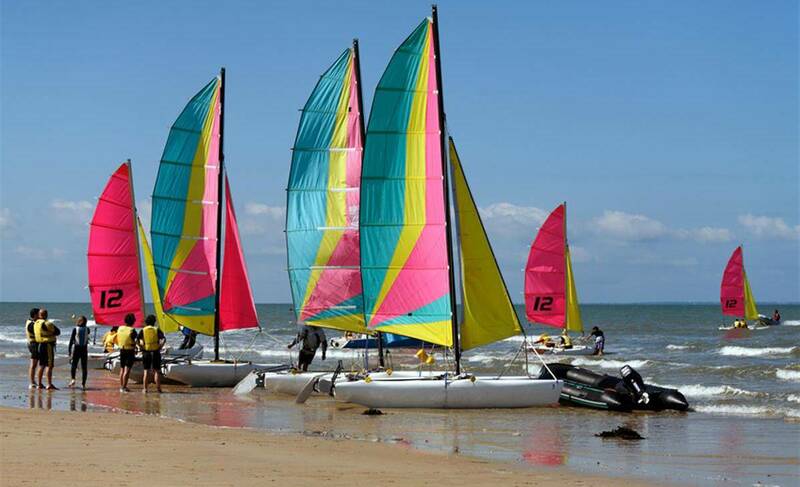 Skiing enthusiasts will enjoy their favourite activity on their boards, windsurfers, paddle and kite surfing. On the sand, sailing tanks fly all year.